Hi everyone! 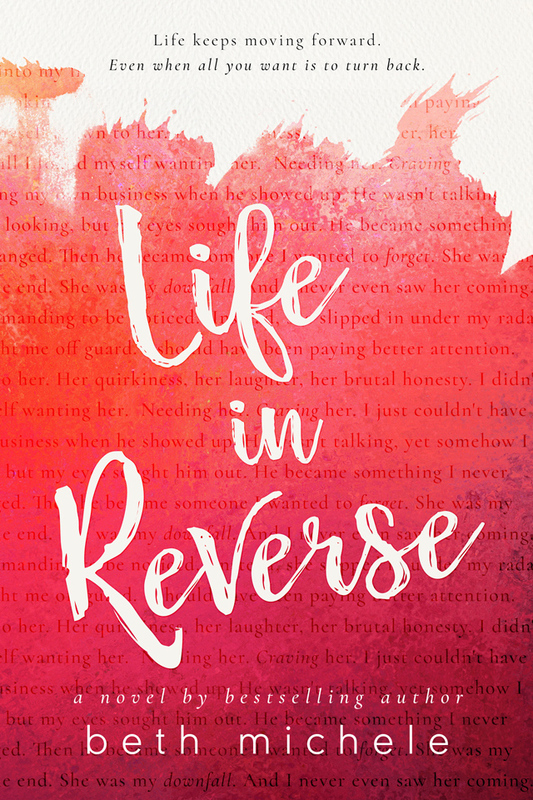 I’m giving away EIGHT ARCs of Life in Reverse! All you need to do is comment below and tell me why you’d like to read it! I will pick winners Friday morning! YOU MUST HAVE A KINDLE TO BE ELIGIBLE. I love a book that doesn’t follow the typical storyline. Reel life isn’t always so easy. I’m a huge fan of both yours and NA stories. This one sounds very intriguing. I’m sure just saying I love the cover isn’t a valid enough reason. 🙂 I’m a sucker for second chance love stories and this book sounds like it’s filled with some great angst, but I assume it will put me back together again in the end. Thanks for the chance. I would love to read this and review it as well..reading the description as well as other comments has me truly intrigued. I LOVE a good Romance and believe everyone deserves a second chance!!! I love stories with subtle romances. The ones that are there but you don’t see it until it really hits you. I recently read one I loved Not If I See You First. Hoping this is one that catches me like that one did. I would LOVE to read Life in Reverse for review!! I get so entranced in a good book and I have heard super great things about this one! Subtle romance – the kind that hits you square in the face when you aren’t looking… *sigh* The best!!! I would love to have an ARC because the story sounds amazing and I LOVE the beautiful cover! I absolutely love second chance romances. The angst-ier the better. I would love an ARC copy because it sounds like a great book! I love reading stories that dont follow the typical cookie cutter story line. I am intrigued by the description. I am going to be revising my blog to separate my book reviews under category areas for my readers and would love to have a fresh selection to start out. Commentread this book. I know about you and have loved everything I’ve read! I have not yet had the pleasure of reading any of your books. This is where I would be excited and joyed to start with this book. Thank you for the chance to read it!! Ooh–I love a book about second chances. Looking forward to another book from you! Whether it’s because of a bad break-up,divorce, death, or even a second chance with a past love.. I Absolutely Love books where the main character gets a second chance at love.. I would be so Thrilled to get an ARC of Life in Reverse! Thanks for the Chance! The blurb got me curious about what is it between them. The description draws you in. Definitely on my to read list. Thanks for the chance! I LOVE second chance, my fav trope 🙂 I like the angst involved in getting to that point where the characters can trust again. I think this sounds right up my alley!! Thank you! Second chance romance is one of my favorites! I’m curios to see how these two make it work. It sounds a little different than what I’ve seen before. I read another of your books and really enjoyed it. Thanks for the opportunity. i am not very expirienced with your work before today i didnt know about an author named beth michele. Even if i have read any of your books before i dont remember. This book ‘life in reverse’ I feel will be the book that will never let me forget the name Beth Michele.I read the summay and my heart started pounding in anticipation. So i wonder if just the summary made me want to read the book without a pause what will this book me feel and discover. I hope you grant me the honor of letting ‘life in reverse ”be the very firstbbook of many by you i get to lose my head over.